There comes a time in every boy band's and teen queen's career when the idols want freedom from their puppet-masters. 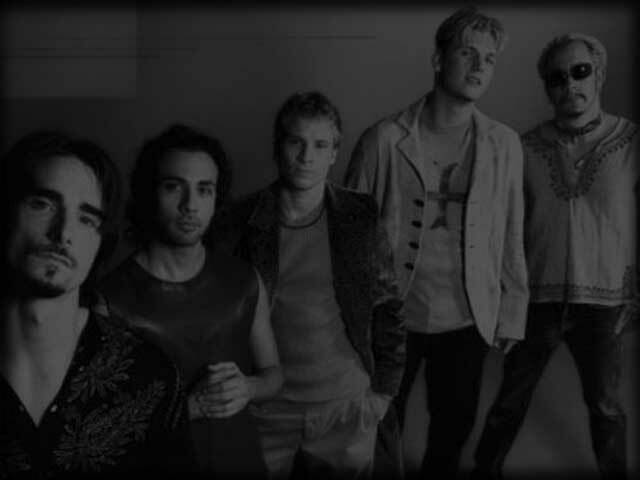 The irony behind Backstreet Boys is that the more they strive to prove their adult autonomy, the closer Orlando's original sons come to resembling anonymous soft-pop professionals. On its third American album, the quintet attempts to bolster its substantial serenading rep by teaming up with Babyface, covering Canadian crooner Dan Hill and writing its own clich‚-driven slush. The results -- the Babyface-produced, Backstreet-penned "Time," Hill's "I Promise You (With Everything I Am)," AJ McLean's "Yes I Will," Kevin Richardson's "It's True" and Howie Dorough's "How Did I Fall in Love With You" -- could've sprung from any substandard Nashville jinglemeister. Transcending their teen-pop origins with schlock too dull for easy-listening or country radio is nothing for Boys to brag about. 'N Sync's recent up-tempo achievements must've snapped the Backstreet camp to its senses. Black and Blue's competition-conscious heart is loud, hook-crazy, classic Swedish pop from the same Cheiron factory that built the sassiest hits of Britney, 'N Sync and the BBs themselves. Although the group lives up to the groove-ballad legacy of "I Want It That Way" and "Quit Playing Games (With My Heart)" with the slow-growing first single, "Shape of My Heart," and the symphonic splendor of "More Than That," the real news is a slew of forceful jams that merge hyper hip-hop rhythms with Eighties cheese-metal choruses. It's a little-known fact that Max Martin and Rami, the principal producer-songwriters behind the 'N Sync/Britney/Backstreet trinity, both got their start in heavy-metal bands. You can hear it in the drama-crazed harmonies of "The Call" and "Get Another Boyfriend," the album's most frenzied cuts. Those Bon Jovi/Def Leppard power choruses distinguish "Everyone" from earlier fan-thanking anthems "Everybody (Backstreet's Back)" and "Larger Than Life." Not even R&B kingpin Rodney "Darkchild" Jerkins can erase the Scandinavian sparkle from "Shining Star," and despite its hokey save-the-world lyrics, the Boys' own "The Answer to Our Life" bounces along on a perky melody obviously inspired by their Swedish mentors. Lacking 'N Sync's tireless dancing talents or Britney's demented fashion sense, the Boys still harmonize as well as the faceless background singers who prop up lesser pop puppets. Thankfully, Backstreet's own strings are still attached to Sweden.